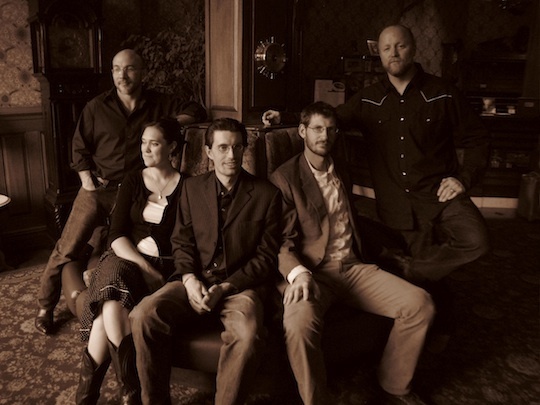 Playing a mixture of Old-Time, Bluegrass, Honky-Tonk, Folk and Blues, Finnders and Youngberg are exactly what Americana music is all about. Watching them perform is just as much fun as listening to them sing and play as they share a central mic, standing in a semi circle and weaving in and out with classic choreography as they entertain their audience. You can hear their music and watch many videos of Finnders and Youngberg on Youtube and on their web site, and you'll see for yourself why the group is in such high demand all over the Rocky Mountains and across the country. They've toured from Virginia to California playing at bluegrass festivals, concert halls and listening rooms, with lots of house concerts thrown in for good measure. 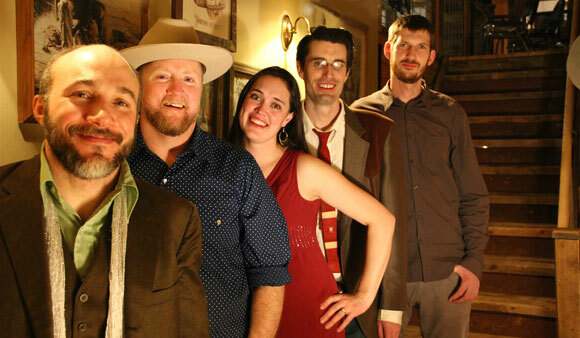 Some of the festivals they've played include the Durango Bluegrass Meltdown, the Black Hills Bluegrass Festival, the Pagosa Folk Festival, Denver's Mid-Winter Bluegrass Festival, New West Fest and the 2011 International Folk Alliance in Memphis, TN. Mike Finders has been playing the guitar since he was 7 years old and he's the main songwriter in the group along with singing most of the lead vocals. 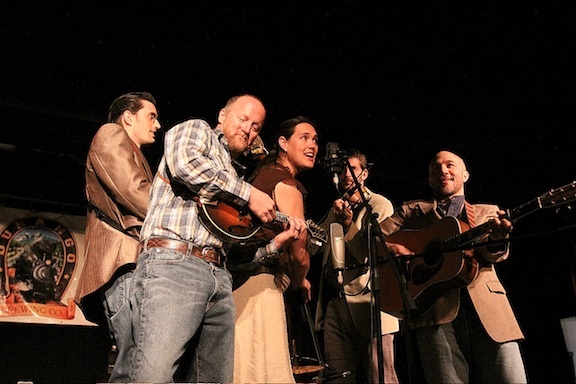 Originally from Iowa, Mike is a two-time Chris Austin Songwriting Contest Winner at Merlefest. He won the bluegrass category in 2004 and the gospel category in 2005 and he has a very distinctive baritone voice along with playing a very fine acoustic guitar and the harmonica. 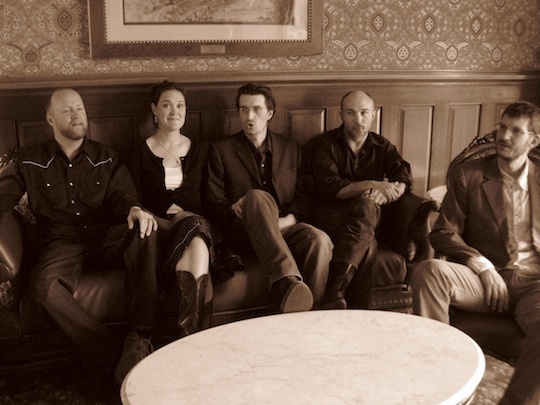 Erin & Aaron Youngberg were founding members of Hit and Run Bluegrass Band which won both Telluride and Rockygrass band contests in 2003 following up with both SPGMA and IBMA honors. Erin is a songwriter and also sings lead and harmony vocals, along with playing the stand up bass. Though she's the youngest in the group, Erin has been performing since the age of 9, starting out on stage in her dad's bluegrass band and also performing and recording for a year with the group Uncle Earl. Aaron Youngberg plays banjo, guitar, steel guitar and sings lead and harmony vocals, in addition to being the owner and engineer of Swingfingers Recording Studio in Ft. Collins, Colorado. Joining the group in 2009, fiddler Ryan Drickey is a former Rockygrass Fiddle Champ and stays in constant demand as a session player for the likes of Matt Flinner and Michele Shocked. Mandolin player Rich Zimmerman also sings harmony and was a founding member of the Colorado based band Slipstream. When they take the stage and all of their talent, experience, and creativity come together, you have one very special and exciting band singing and playing awesome original music. Mike Finders met the Youngbergs in Chicago while sharing the stage in a concert in 2004. In 2007 Mike relocated to Ft. Collins from Iowa City, Iowa and Finnders and Youngberg were officially founded. Their debut album, "Keep Your Suitcase Packed" was released in 2008 and quickly went to #1 on Colorado Independent radio for one month. Since then they've opened for many national acts including, Jim Lauderdale, the Punch Brothers, Blue Highway and Crooked Still. Their latest independent 12 song album release is entitled, "FY5", and it made it all the way to #24 on the National Folk DJ charts in addition to racing up the charts on Colorado Independent radio stations. It's available on CD, Vinyl, and digitally from the bands web site, where you can also see their upcoming tour dates and purchase Finnders and Youngberg merchandise. Based out of Ft. Collins, Colorado, Finnders and Youngberg are an act you need to watch out for. Seek out their music and visit their website because you'll be glad you did if you are a lover of acoustic roots Americana music. BRONSONSMUSIC.COM IS ANOTHER CHINO WEBSITE!